A new, evolved interface experience that offers a contemporary look, feel and function of the latest mobile devices and tablets, with exceptional durability and features designed specifically for motorcycling. 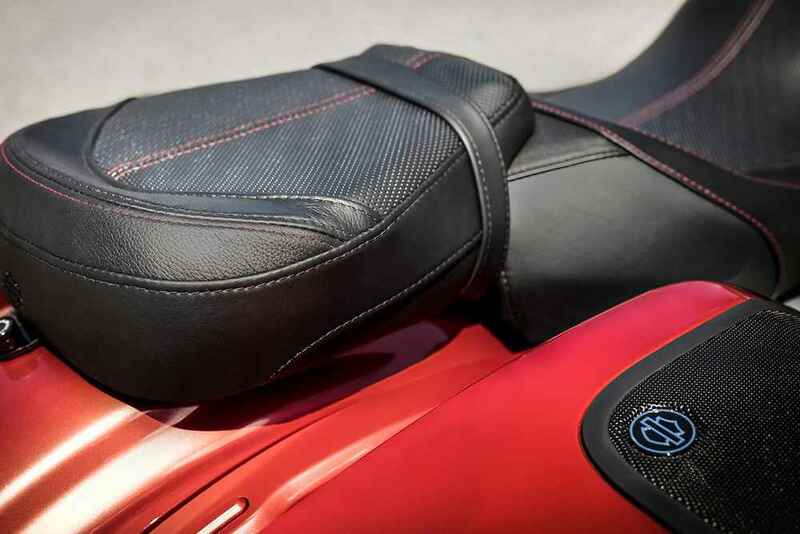 Every element is optimised to enhance the rider's interaction with the bike and connectivity with the world. 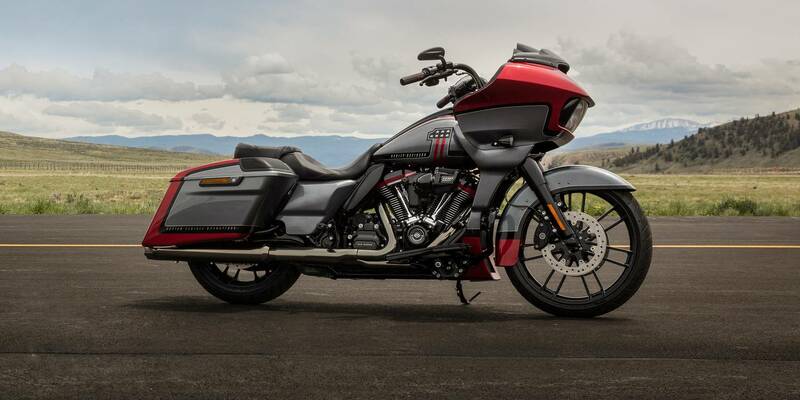 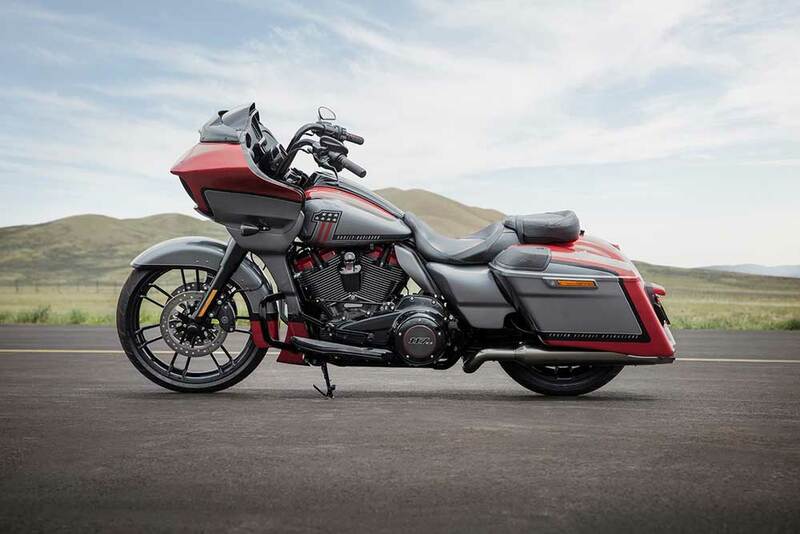 Features the Harley-Davidson factory-installed 21-inch front wheel, a unique exhaust finish, and the new Fang Front Spoiler and Screamin' Eagle® Heavy Breather for bold hot-rod style. 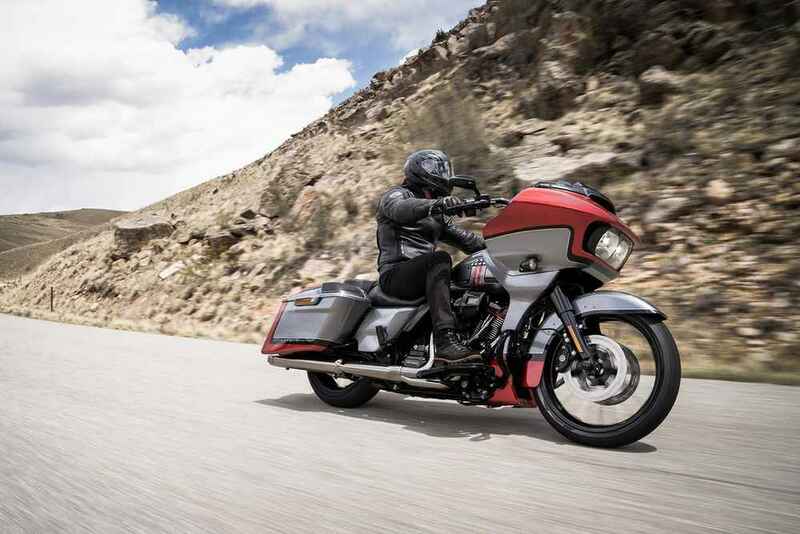 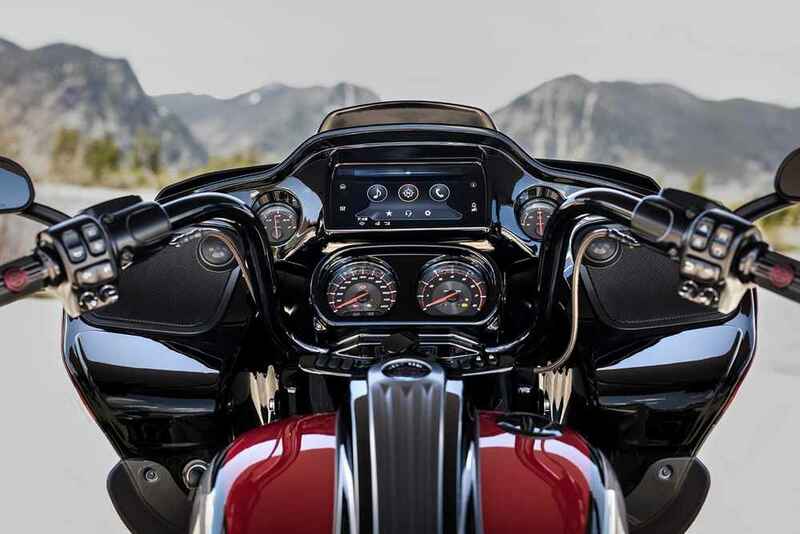 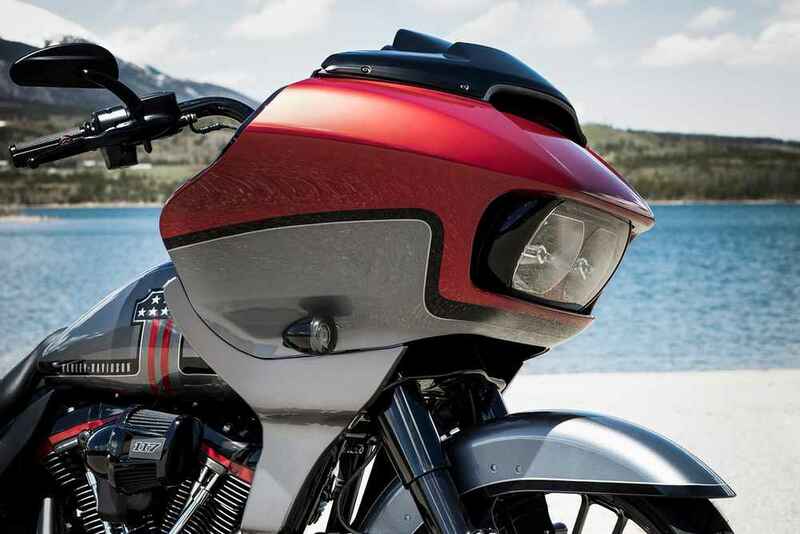 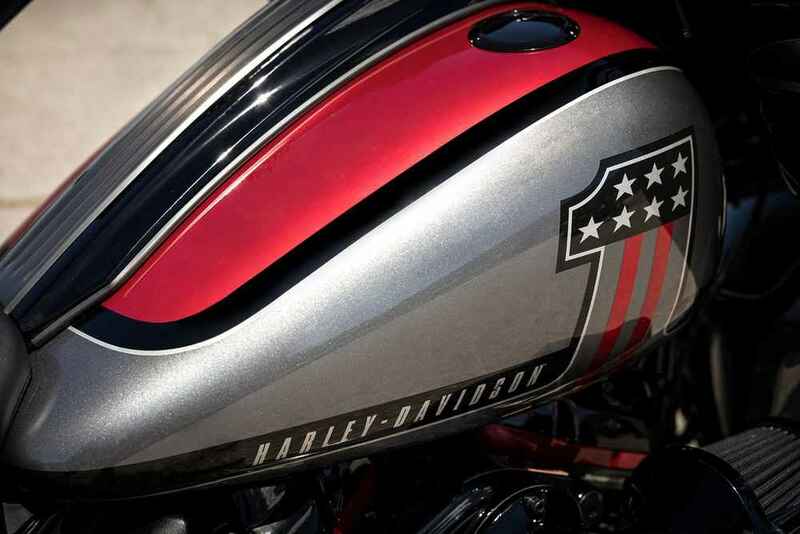 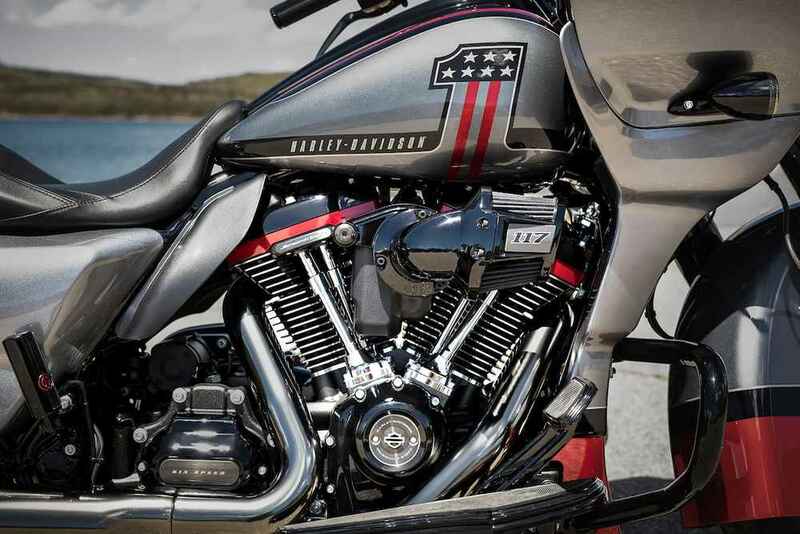 The most powerful V-Twin engine ever offered from the H-D® factory, and only available in CVO™ models. 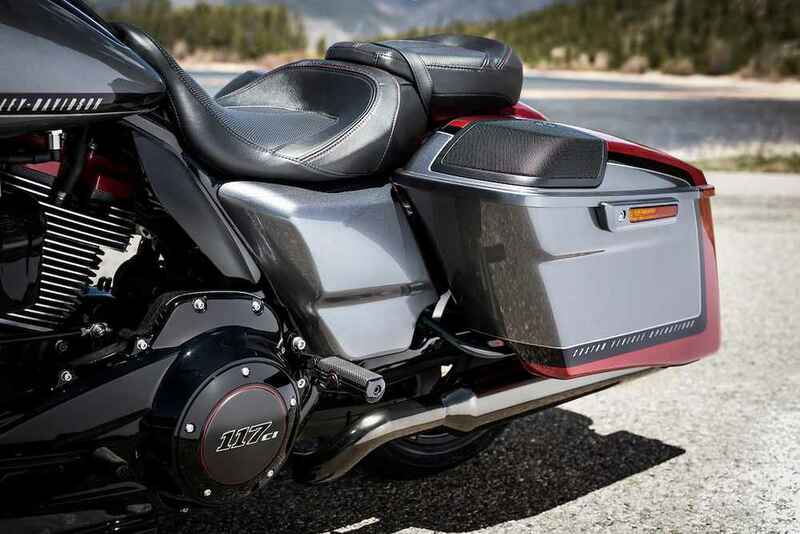 Features colour accented Rocker Box Lowers with Blaze Red finish.